In one of our phone calls, I was complaining to Rob (see Song 017 – The Tank) about how I can not remember when everyone’s birthday is. He said, “Just write a song with everyone’s birthday in it, and then you will be able to remember. So, this song is the result of Rob’s suggestion. Only problems are, the song does not have a memorable tune, the words are convoluted, there are too many names and too many dates, and so I still can not remember everyone’s birthday. At least there is one place I can go to look them up now. Verse 1 is about Andrea and my parent’s birthdays. Verse 2 is our kid’s parent’s birthdays, including Rick and Marti. Verse 3 is our kids’ and their spouses’ birthdays. Verse 4 is our Grandkid’s birthdays. 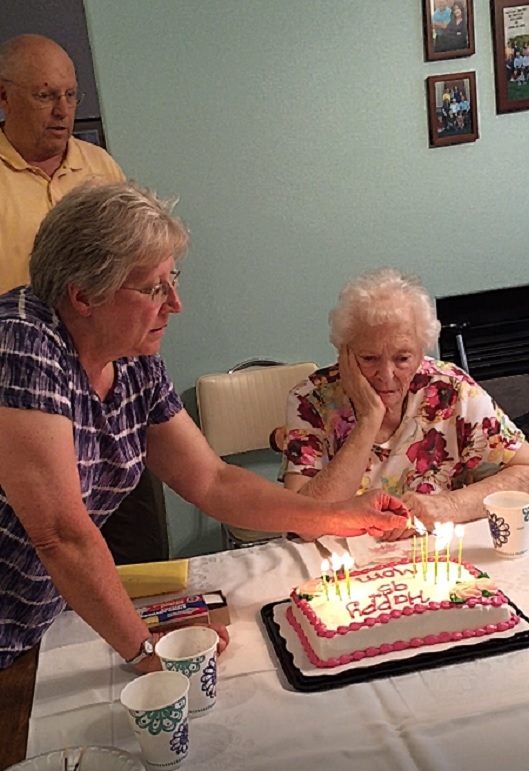 It only makes sense for the photo to be of the family matriarch blowing out her candles on her 95th birthday. Andrea misses her Dad. I miss my Mom and Dad. Seems like we miss many birthdays. We send cards (usually late) and call (too often late), and we don’t get to attend birthday parties very often. Oh well! Hopefully everyone can put up with our weaknesses, and still know we love them. 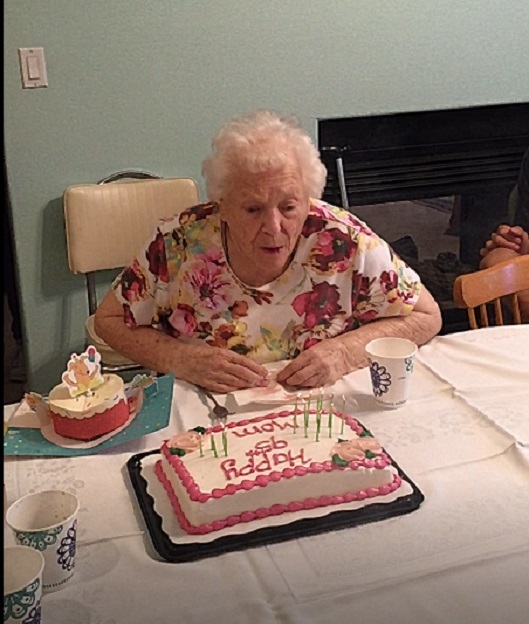 August 2018 was special because Sara Ellyn called back after I had left a message for her birthday. I have a harp sound on my phone for Sara’s phone number, and when she calls it is always so nice to hear the sound of a harp. Brings back good memories of family birthdays.